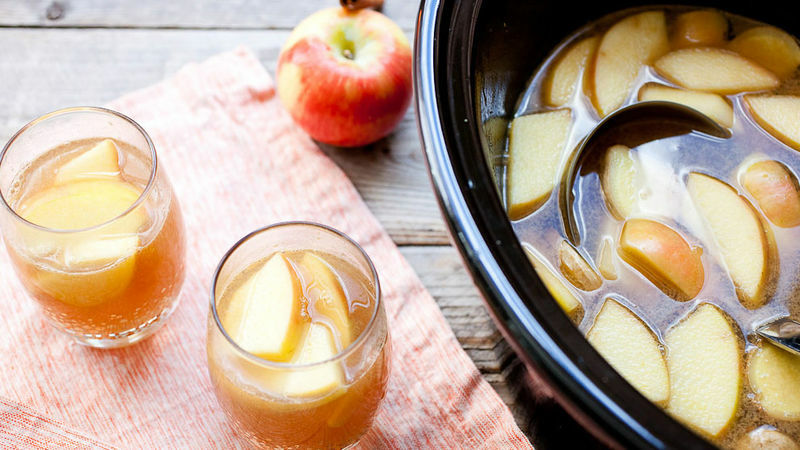 Combine apple cider, sliced ginger, apple slices and cinnamon sticks in a slow-cooker on High for an hour. You can also heat the mixture on low in a pot until it’s steaming and then transfer it to a slow cooker to keep it warm. For each drink, ladle some warm apple cider into a glass and top with 1 1/2 to 2 ounces spiced rum. Serve while warm!